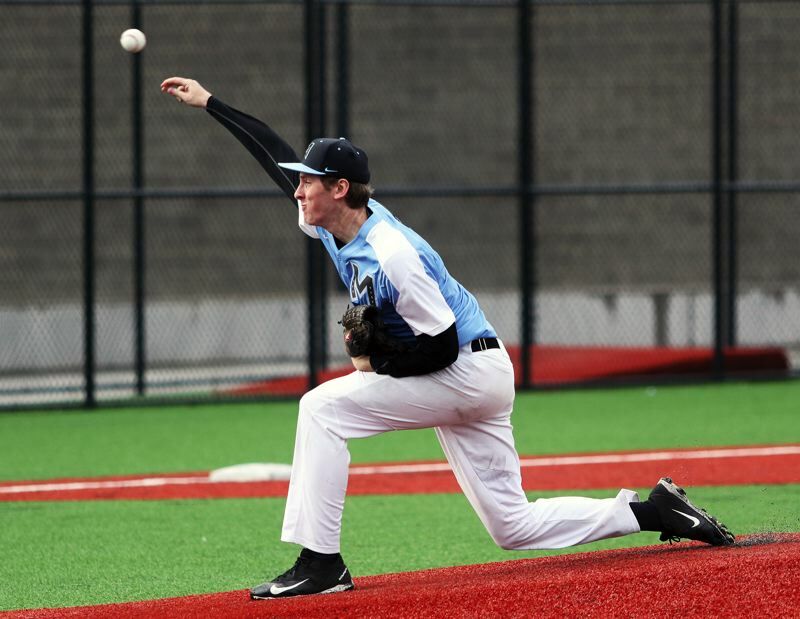 BEAVERTON — Sure, the Sherwood High School baseball team hit the heck out of the ball. The Bowmen also enjoyed some strong pitching. The defense was also solid. That all added up to a big win. But, maybe most important thing of all was the fact that throughout that big win, the Sherwood squad stayed focused. 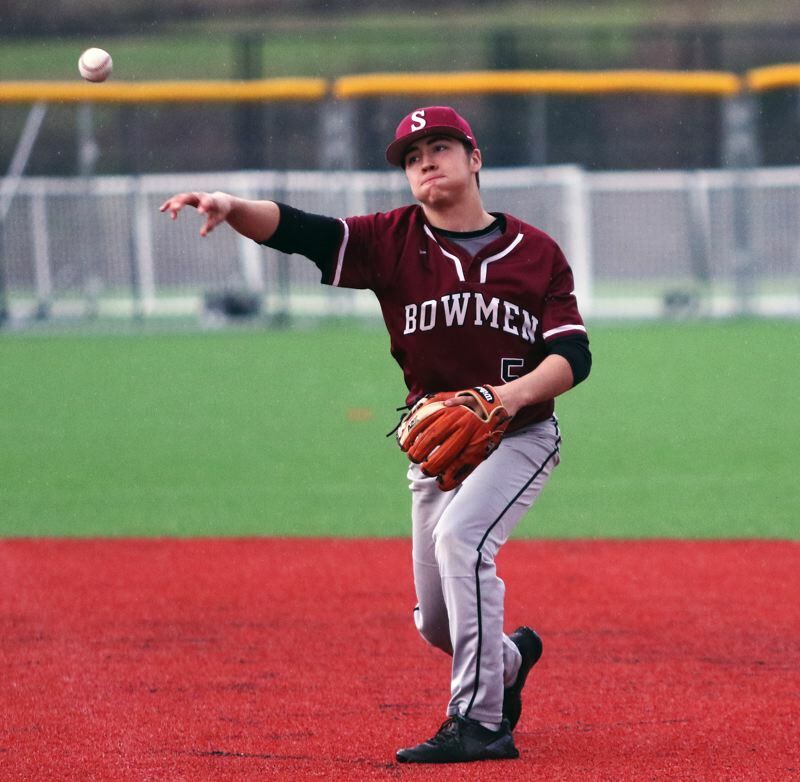 The Bowmen, starting fast and finishing strong, powered their way to a 16-3 win over Mountainside in a nearly three-hour non-league game played Tuesday at Mountainside High School. "It was good. It was a long one," said Sherwood senior Anthony Garrett, who had three hits in the win, including a home run. "Those types of game, it's tough to stay focused. That's the most challenging part, and I think we did that — staying focused and keeping our mind right." "It was really good," said Sherwood senior Sage Dunaway, who pitched three strong innings while also knocking in a pair of runs. "We started off strong, and the thing we've been working on, is staying focused and just hammering through." With the loss, Mountainside, the second-year school, in its first year playing at the varsity level, moved to 2-5 on the season. Sherwood improved to 5-3 with the victory. "It's been good," Garrett said. "We just got back from Arizona, and that was a good team-bonding experience. Games like this add onto our confidence a lot." Garrett, and the Bowmen, got off to a roaring start to Tuesday's game at Mountainside. Garrett, stepping up to the plate with one out and the bases empty, blasted a home run over the fence in center field, giving Sherwood a quick 1-0 lead. "Yeah, I watched it a little bit," Garrett said with a laugh. "It was a 3-1 count, and I was waiting for my pitch and I got it. That felt pretty good." The Bowmen didn't stop there. Junior Kade Emmons followed Garrett's homer with a line-drive single to center field. One out later, senior Noah Beeks doubled down left-field line, driving in courtesy runner Caden Snelling, upping the lead to 2-0. 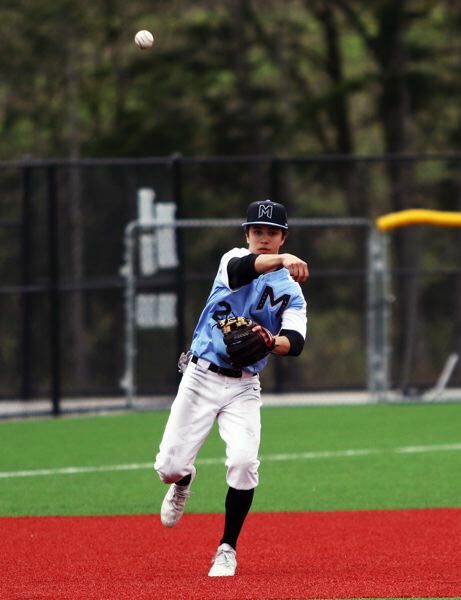 Beeks would score when the Mavericks committed an error on a grounder by junior Joe Rea. Junior Kaedin Steindorf would go on to single in Rea, giving the Sherwood a 4-0 lead going into the bottom of the first inning. 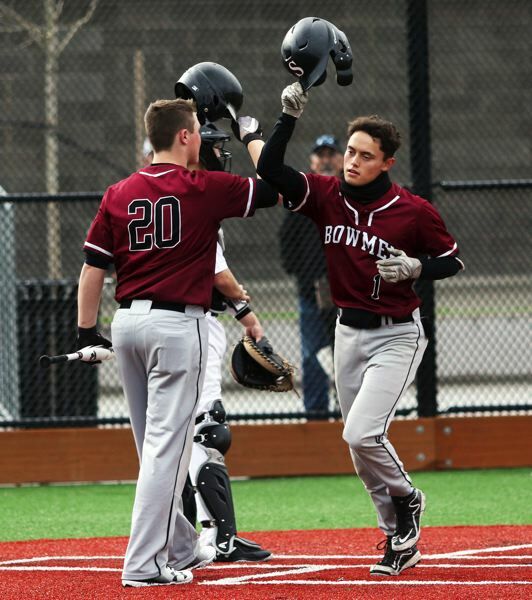 The Bowmen added two more runs in the second inning. Snelling again running for Emmons, who hit a one-out single, would score from third base on a wild pitch. Dunaway followed that with a single to right field. He then stole second base and then scored on an infield single by Rea, upping the margin to 6-0. Sherwood got two more runs in the top of the third, with Dunaway and Beeks each drawing bases-loaded walk, giving the Bowmen an 8-0 lead. Mountainside fought back in the bottom of the third. Maverick freshman Ashton Buzan and junior Scott Cowley had back-to-back singles to open the frame. Sophomore Justin Hughes then drew a walk to load the bases with no outs. Junior Yule Schrock then laced a single to right field, driving in Buzan. Cowley then scored on a groundout by junior Kevin Anderson, cutting the Sherwood lead to 8-2. But Mountainside wouldn't get any closer. 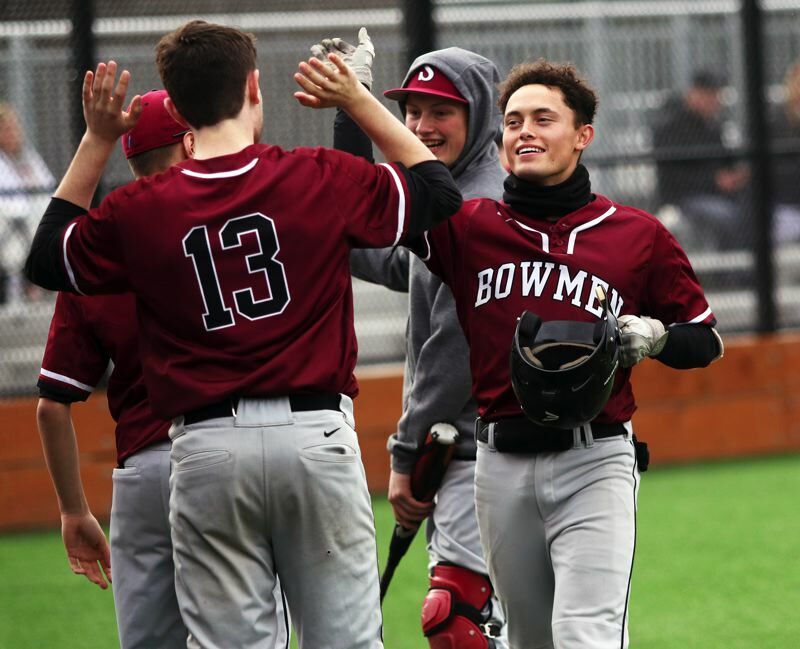 The Bowmen responded by scoring five runs in the top of the fourth inning. 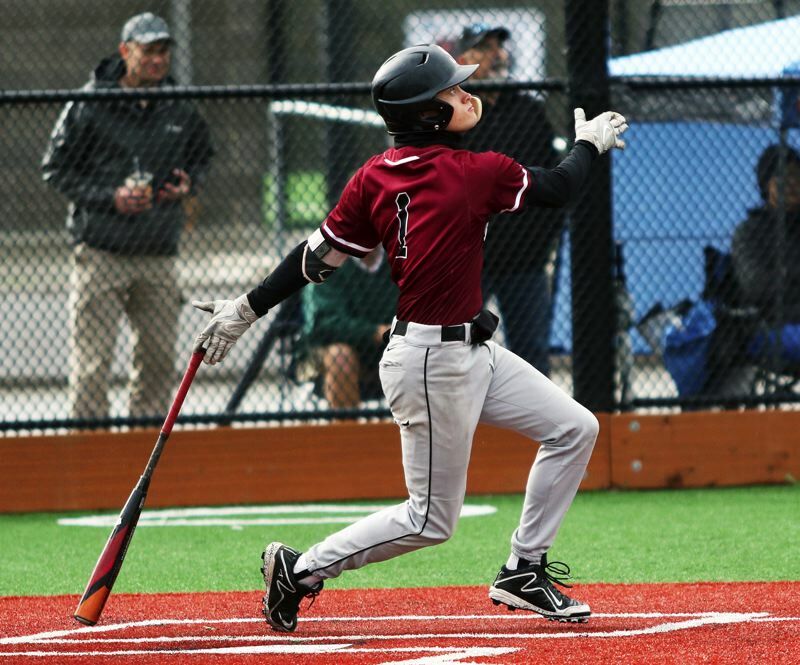 Garrett had the big hit of the inning with a bases-loaded ground-rule double to center field, driving in both Steindorf and senior Harrison Goyette. Dunaway was hit by a pitch with the bases loaded later in the frame, and Beeks and Rea both drew bases-loaded walks, pushing the margin to 13-2. Mountainside got a run in the bottom of the fourth, when Schrock singled in junior Noah Wolf, making the score 13-3. But Sherwood finished the game strong, scoring three runs in the top of the seventh. Snelling singled in both senior Everett Moore and senior Braden Thorn, and senior Jacob Cole scored on a Maverick error, making the final score 16-3. "We've been scoring a couple runs in the first inning, and then relaxing, but today we did a good job staying in it and scoring throughout the whole game," Dunaway said. "That's a real good sign. It means we're focusing more and our bats are coming through." Garrett led a 12-hit Sherwood offensive attack, going 3 for 5 at the plate with a home run, a double, three runs scored and three RBIs. "A lot of it comes down to to focus, and treating every at-bat individually," he said. Emmons went 2 for 2 while also drawing a pair of walks. Beeks went 1 for 2 with a double and three RBIs. Snelling scored three runs and drove in two. Dunaway went 1 for 2 with a run scored and two RBIs. Senior Tyler Hix scored twice. Sherwood, as a team, drew 16 walks off a total of seven Mountainside pitchers. Dunaway, pitching the first three innings for the Bowmen, gave up two runs on three hits, while striking out five and walking one. "It was pretty good," he said. "In the first two innings, I felt pretty good. In the third inning, I got a little tight, but overall, it was good." 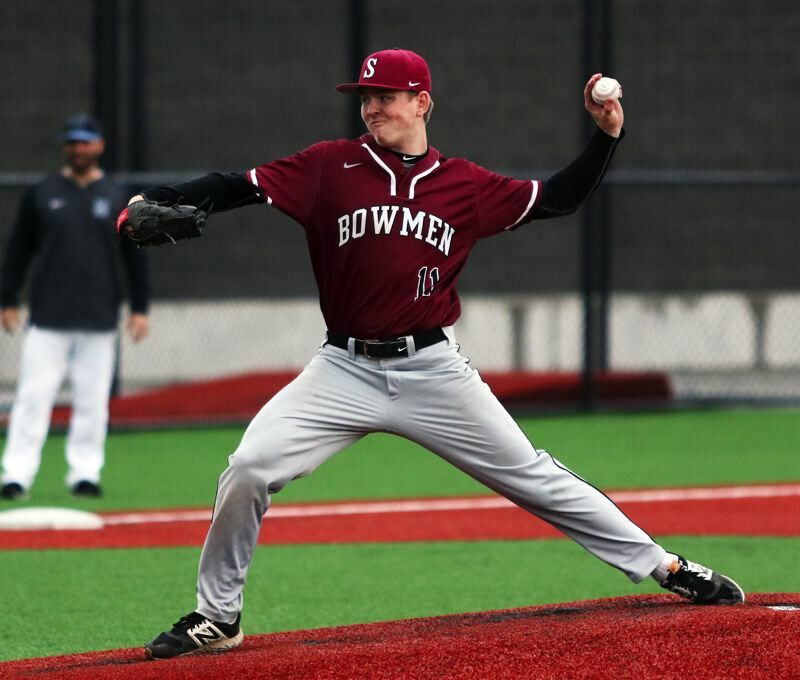 Hix and senior Ryan Sandilands each pitched a pair of innings for the Bowmen. 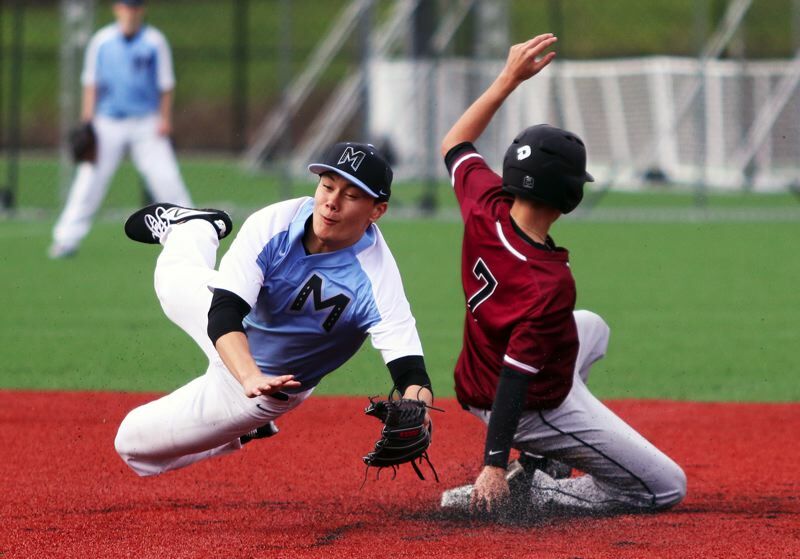 For Mountainside, Schrock went 2 for 4 at the plate with two RBIs. Wolf, Buzon and Cowley each had a hit and scored a run. Anderson drove in a run and junior Parker Rehms had a hit. Sherwood will be back in action on Wednesday, when it plays at Lake Oswego in a non-league game starting at 5 p.m. Mountainside will next play on Thursday, when it hosts Lake Oswego in a 5 p.m. non-league contest.